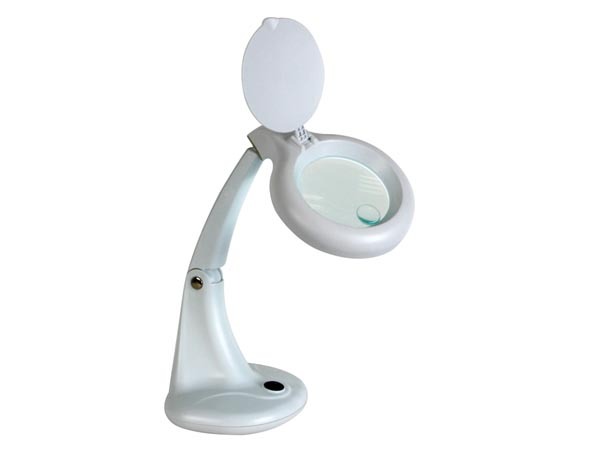 This magnifying lamp was designed as an aid for all kinds of precision applications from health care to precision engineering. It's also ideal for home applications. It comes with a three-dioptre lens (1.75 x magnification). A well-balanced, universally jointed arm makes for maximum adjustment. Light is provided by a circular fluorescent tube of 12W that encircles the glass. Use the clamp to mount the device on a table. arm length: 10 3/5 "